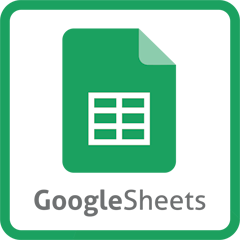 Google Sheets is an incredibly powerful, free, spreadsheet application. Available through your internet browser, with auto-save features, Google Sheets is a main competitor Microsoft Excel. In our Google Sheets for Beginners class (Level 1), you will learn the basics of working in the Sheets environment, as well as the differences between Sheets and Microsoft Excel. Whatever your skill level, we will start at the beginning to make sure you understand the fundamentals and then move on to common tasks to help you be more efficient and productive. By creating your spreadsheets through your browser, there is an ease in collaboration and accessibility of your projects. With all of your data stored in the Google Cloud, your work is auto-saved with every key stroke and backed up so you never lose your data. In Google Sheets for Beginners, we will teach you how to easily convert between Excel and Sheets files so that you don’t miss a step in your daily workflow.